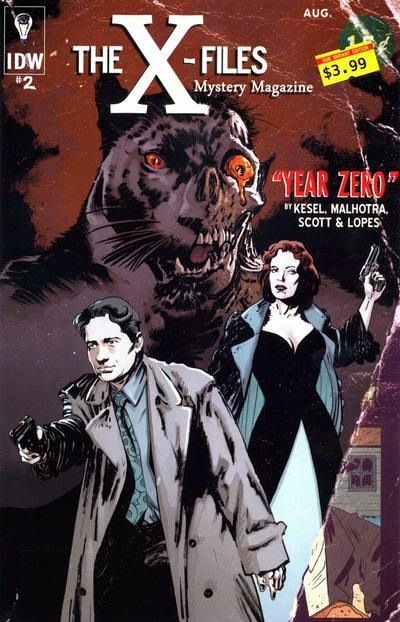 The X-Files: Year Zero features Mulder and Scully investigating the origins of their FBI division. In the second issue, the two are at a diner, and their waitress asks if they want more coffee. Scully says no thanks, and Mulder says, "Although it IS damn fine coffee, as a friend of mine in the Pacific Northwest would say." This friend is FBI Agent Dale Cooper from Twin Peaks, my all time favorite television series, which is coming back for a long-awaited third season on Showtime in 2016. It makes perfect sense that Mulder and Cooper knew each other and would get along. I wonder if they knew Aloysius Pendergast.